The Brisbane Lions have ended their pre-season preparations with a victory over the Gold Coast SUNS at Metricon Stadium today in both sides’ final hitout Round 1. In what turned out to be hot conditions for football, the Lions – despite starting slow – took control in the third quarter to win the match 14.13 (97) to 7.5 (47). The SUNS came out of the blocks hot, leading at both quarter and half time before the Lions kicked seven unanswered goals in the third to take the lead. Gold Coast fielded 14 AFL-listed players but lost Jez McLennan (knee) and Corey Ellis (ankle) to injuries in the first quarter. Brisbane, with a strong side boasting 19 AFL-listed players, were able to run the match out stronger as the SUNS were hampered by rotations with only one player on the bench for over a half following concussion to academy player Ryan Gilmore. First round draft pick Ely Smith was impressive for the Lions. Smith ran through the midfield for a majority of the day with his tackling pressure and ability to find the ball a welcome sight for Lions fans. For the SUNS, Ben King was also impressive playing up forward, leading well for two first half goals. Cedric Cox kicked three majors with the experienced duo of Allen Christensen and Lewis Taylor remaining potent all day running through the Brisbane midfield. Both playing their share of forward and back flank. Eyes now turn to next week’s tough road trips for both sides with the Lions on the road against the NT Thunder in Darwin and the SUNS travelling to Canberra to face the Demons. 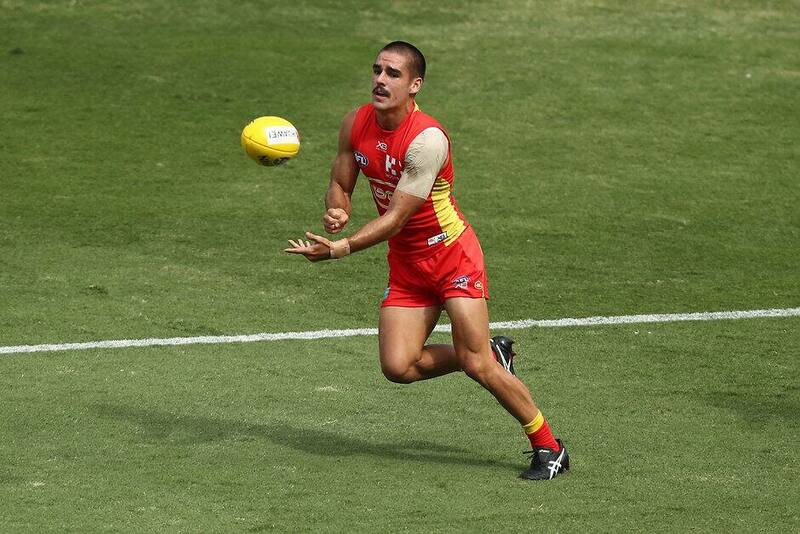 GOALS – Brisbane: C Cox 3 N Robertson 2 A Christensen 2 B Keays T Cutler S Skinner C Stackelberg T Wooller C Ballenden. Gold Coast: B King 2 C Nutting B Crossley W Brodie A Young F Greenwool.